Beautiful upgraded 3-Bed and 2-Bath WITH in-house laundry. 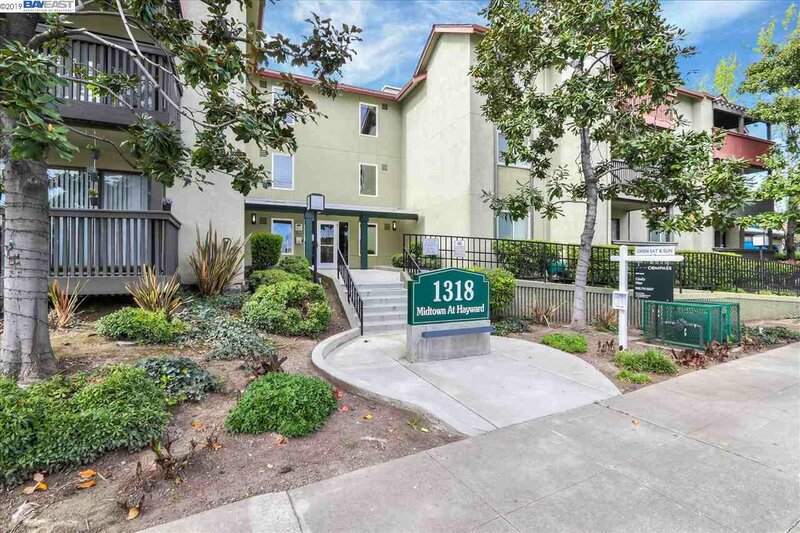 Great Condo closes to downtown Hayward and BART, with convenient access to I-580. Secure location, Balcony, 2-car parking spaces. New interior paint, granite Countertops, new Built-in Microwave, Stainless Steel Refrigerator, Elec. Cooktop Range, dishwasher, washer/dryer, Fireplace, Laminate flooring, Open & Bright Floor plan! HOA fee includes common area maintenance, Trash, Water/sewer, and Community amenities (pool, BBQ, and fitness center). The 3rd bedroom were created without permit on existing floor plan. 2 balconies give more space for the whole unit, Super good floor plan and plenty of natural light. Must see!